Dean Kremer strained his left oblique two weeks ago and isn't expected to throw for another two weeks, Roch Kubatko of MASN Sports reports. Kremer was injured in preparation for Spring Training and should return in two weeks. Kremer was acquired from the Dodgers last July as part of the Manny Machado deal. 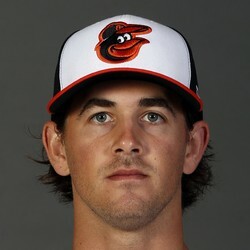 He registered a 2.88 ERA with 178 strikeouts over 131 1/3 innings pitched in the minors last season.